Passion fruits are not easy to come by in some supermarkets so I don’t think of them much. Until I stopped by at a small town in Bentong selling packets of passion fruit, did I learned that they are locally grown. The passion fruit and plum drink I had there was so refreshing! 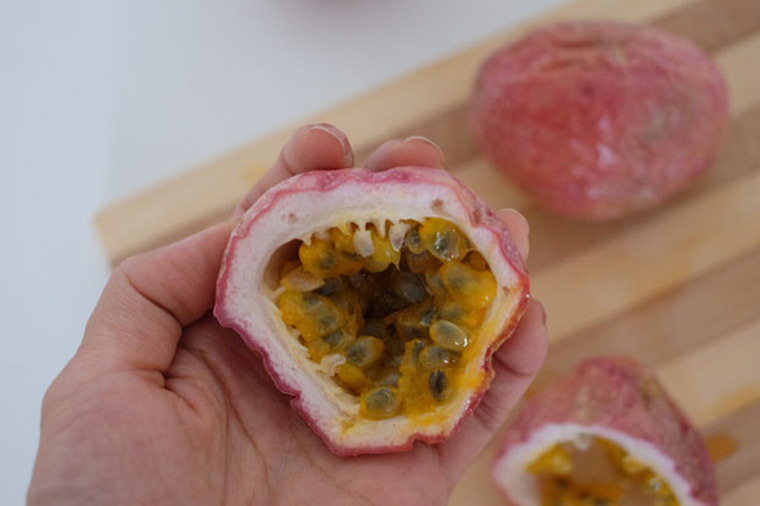 Since then, I started searching for passion fruit whenever I go grocery shopping. My mother who prefers to go to the wet market told me there’s abundance of this fruit there and would send some to me sometimes. I love the sweet-sour taste, the soft and crunchy texture and its pretty pink and yellow colour. 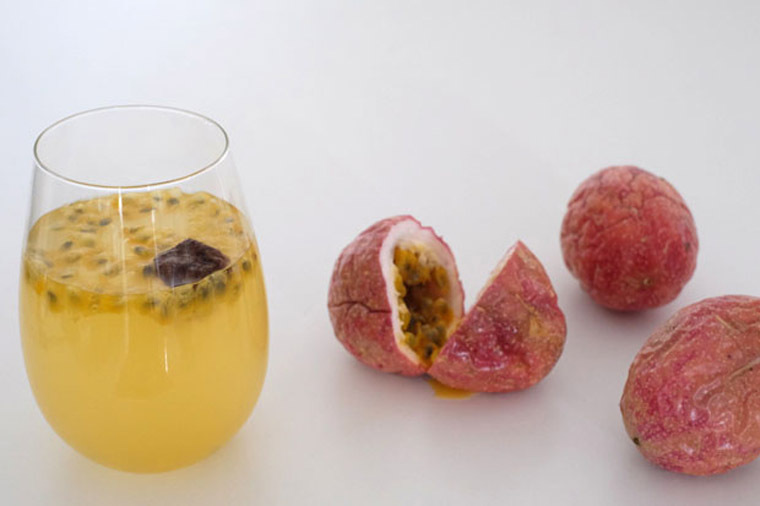 If you can get your hands on this fruit, try making a simple drink using only passion fruit, honey and plum. Not only does it tastes yummy, this tropical-fruit is rich in phyto-nutrients such as carotenes, vitamin A, and vitamin C. I like serving it to my girlfriends and them that it’s good for their skin. Step 1 Pour honey into glass and add a few tablespoon of water to dilute the honey. Pour in the rest of the water into glass. Step 2 Slice passion fruit into half and pour the content into the glass with the help of a spoon. Top if with a salted plum. Step 3 Allow drink to rest for a few minutes for the flavour to meld before drinking. Dilute 1 tbsp honey in 1.5 cup of water. Add passion fruit pulp and salted plum. Serve. You know passionfruit is ripe and ready to use when it’s wrinkly. Use natural honey if you can. Otherwise, you sweeten the honey with other sweetener of your choice e.g granulated sugar. This drink is best serve cold. Use chilled water if possible. If the weather is not too hot to the point of being unbearable, I personally like drinking it at room temperature as I try to avoid cold drinks. What drinks do you serve your guest? Drop me a message!